Julie offers a deep, powerful, heart-felt, Vinyasa flow. 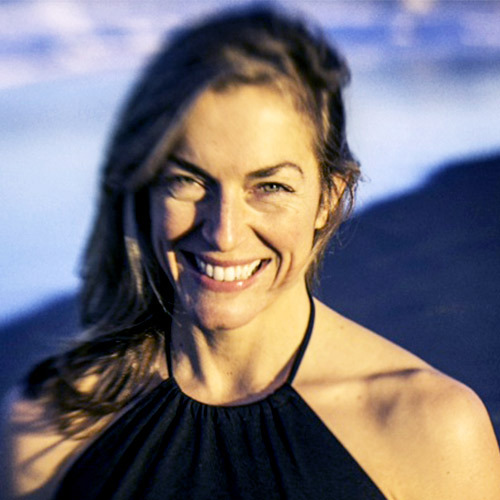 By linking breath with movement, Julie inspires students to open their heart, connect to their truth, and ignite their inner brilliance. Initially drawn to yoga to help balance her athletic lifestyle, and busy nursing career, in which she specializes in Cancer treatment, Julie continues to be astounded by the magnitude of yoga. She feels her yoga journey has only just begun, and remains open to its continued evolution. Filled with gratitude, Julie shares her passion for yoga, teaching, and healing, with others.Julie attributes her zest for life, courageous spirit, and open heart, to her awe-inspiring Cancer patients. She feels that her patients, along with the ever-powerful Mother Nature, are her greatest teachers. Julie completed her 200-hour Vinyasa YTT with local great, Pete Guinosso.